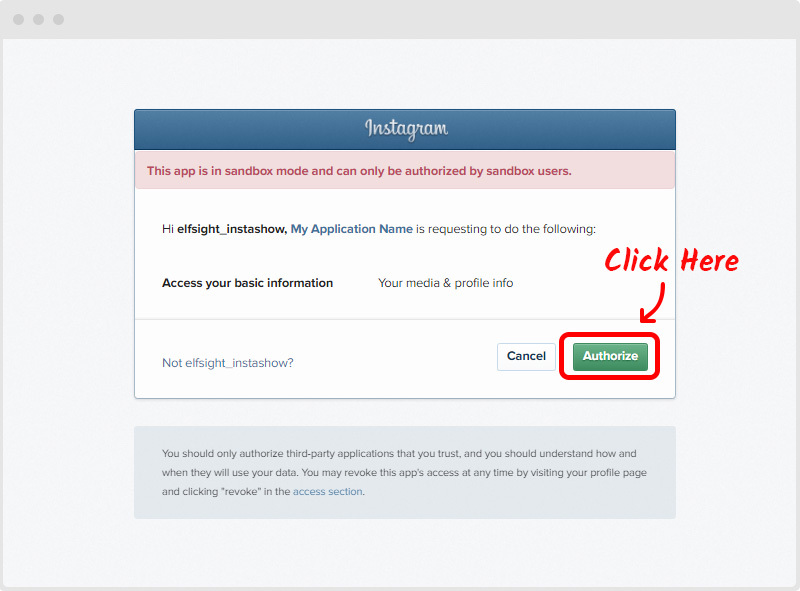 Instagram plugins use the special API that requires authentication – specific requests made on behalf of a user. This procedure will be realized only with the help of Instagram Access Token. Thus, this article, courtesy of elfsight.com, will explain to you the purpose of Token and how you can get it. Let’s go! 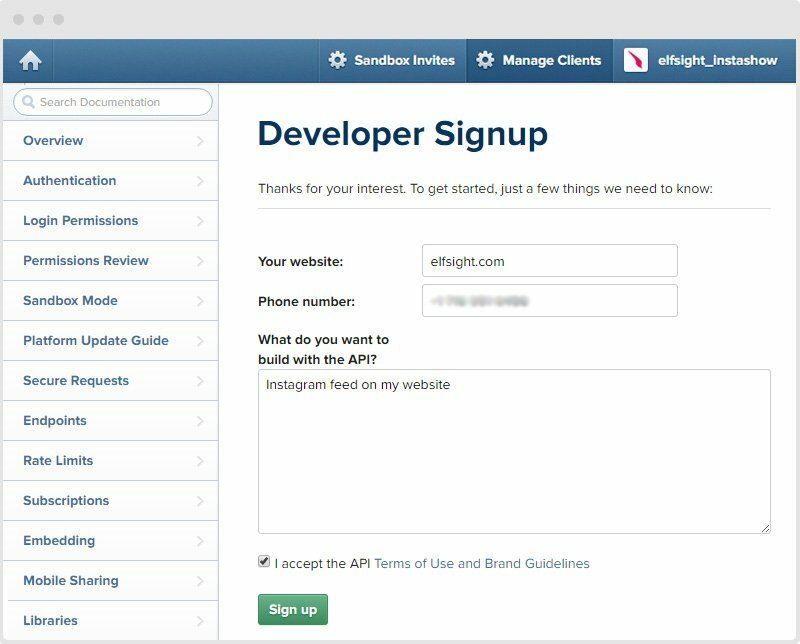 We have prepared the detailed video and text instructions describing the process of connecting to Instagram API. 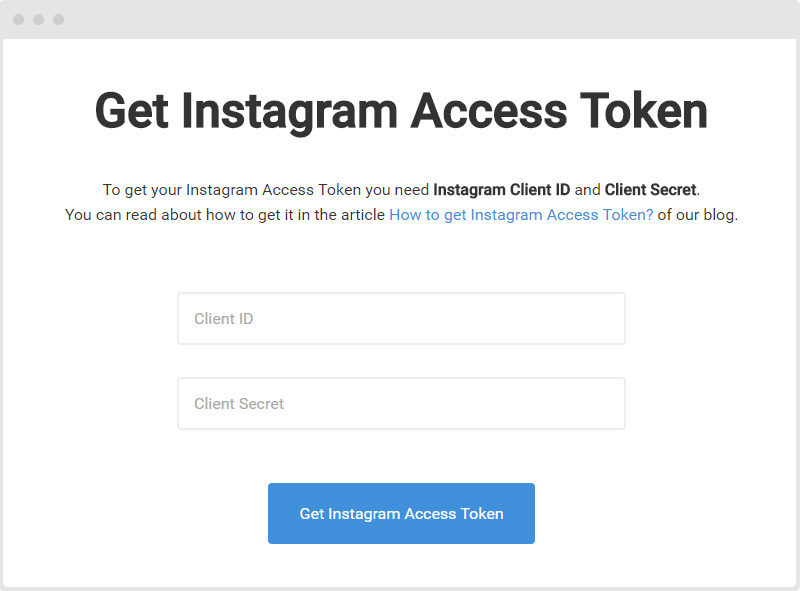 Before getting your Access Token you have to register as a developer in Instagram and to receive Client ID and Client Secret. 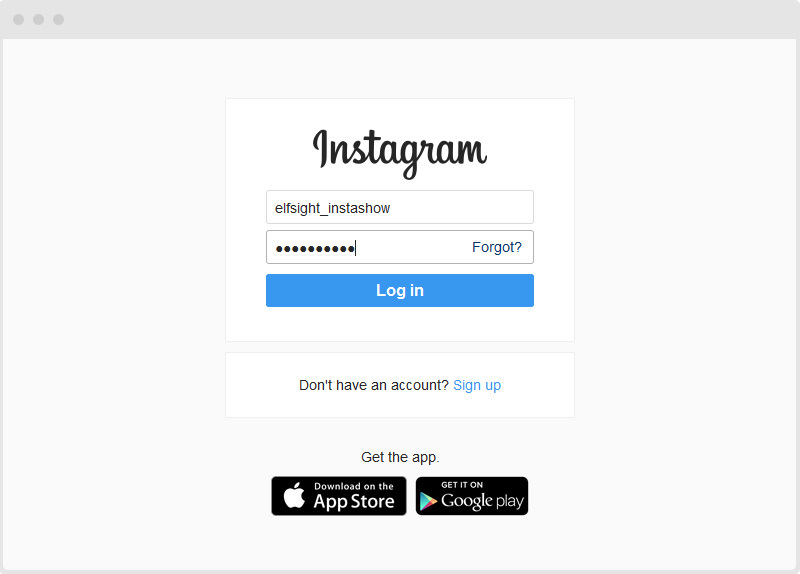 That’s why you should follow the link to the Instagram developer web page. 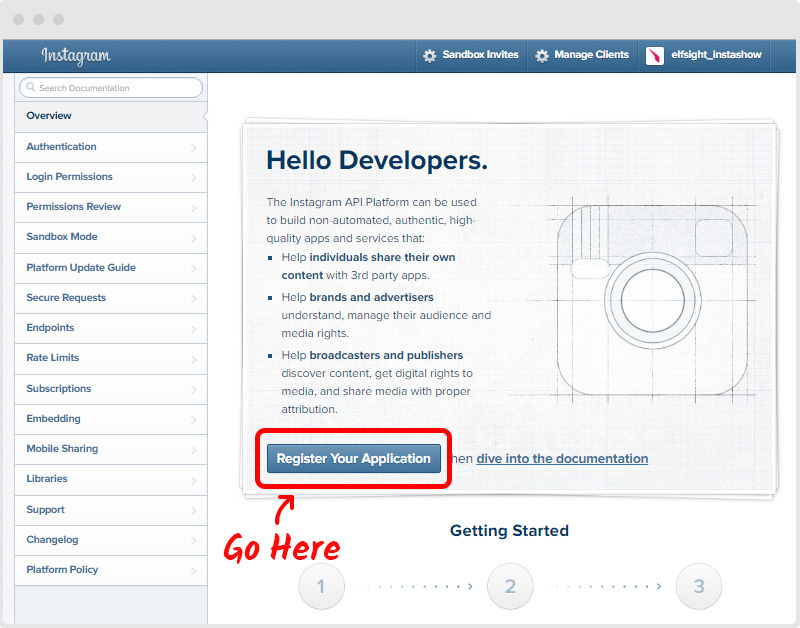 After this signup, the Instagram Developer Documentation will appear. There you will see greetings and the following overview. Now, as a developer, you can register your application. To do that click on the link marked above. Instagram will notify you that at the moment you don’t have any apps and will offer you to create a new one. 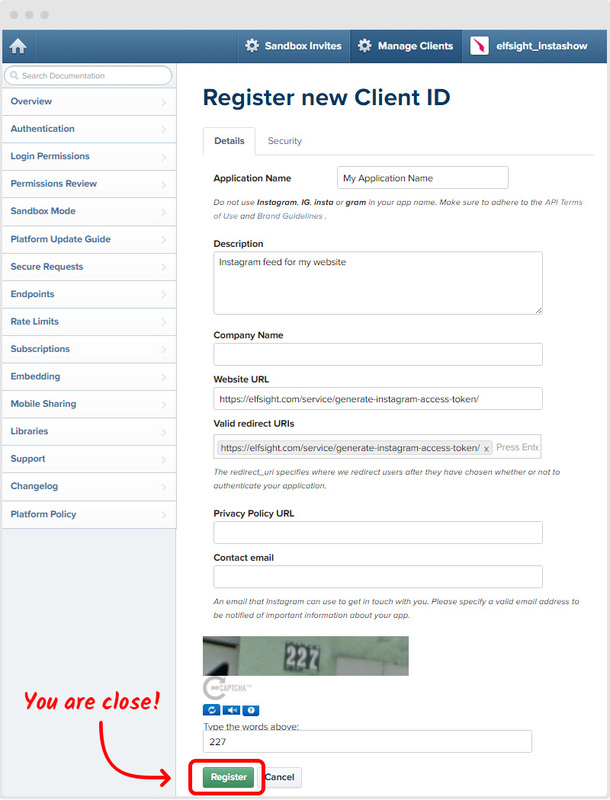 The next step is to authorize your new application and new client. The next page has 4 obligatory fields for filling so be attentive! Note that if you are going to work with square photos on your website then turn on the non-square media option. Just edit your client and find “Migrations” section. 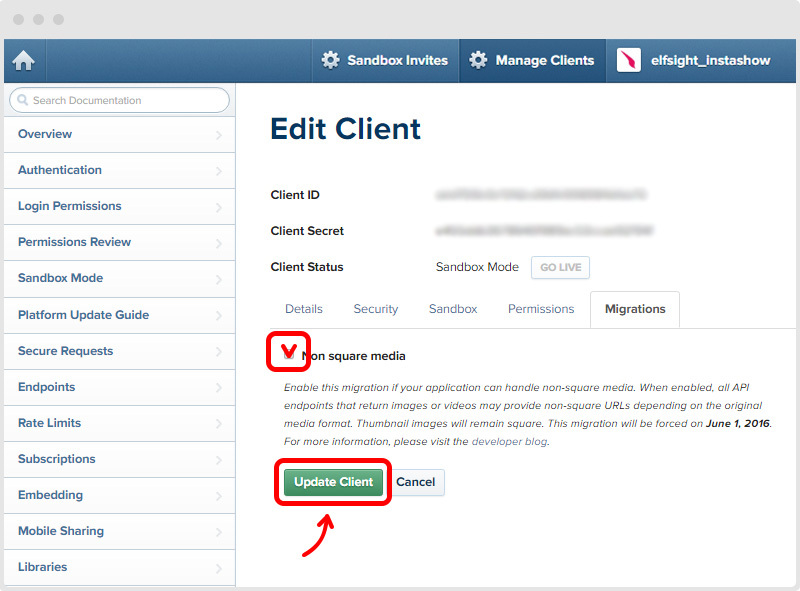 Don’t forget to click “Update Plugin” so that changes will take effect. We created this page so that you will be able to get your Instagram Access Token in the fastest way. 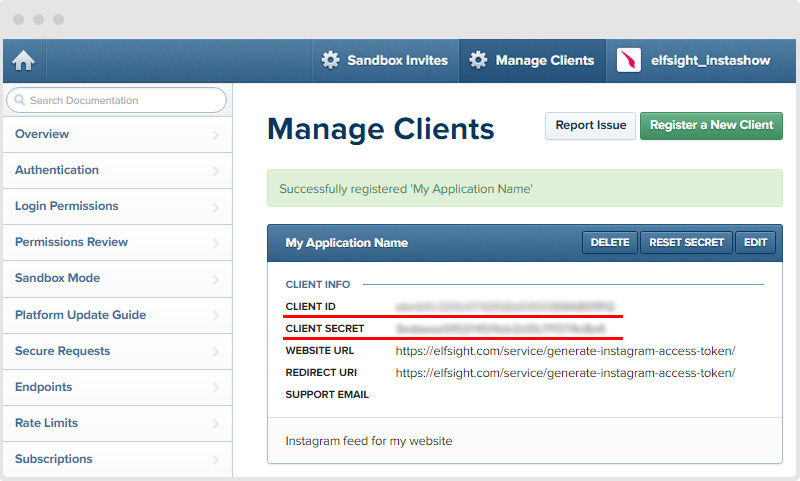 Note that Instagram will request your authorization as a sandbox user. That’s why click “Authorize” on the next page in order to complete the task. Congratulations! 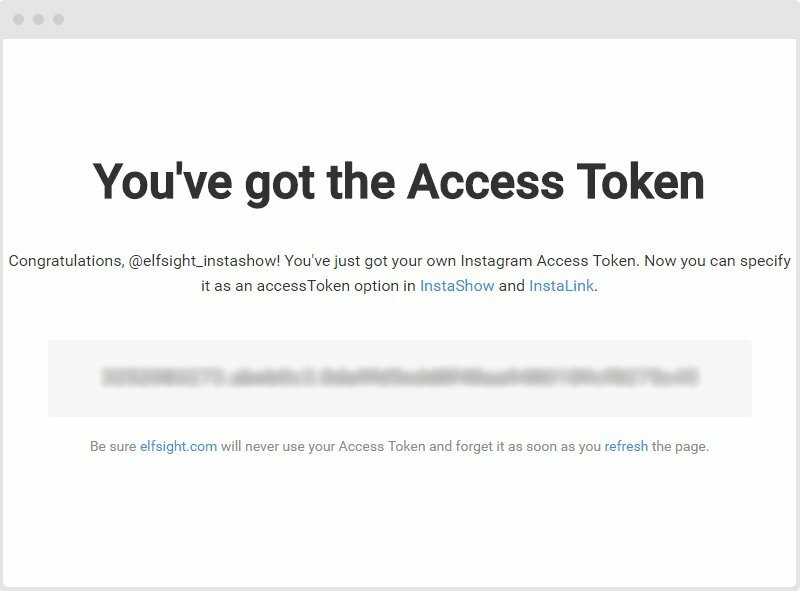 You’ve achieved the task and get your Instagram Access Token.